Last week I had the pleasure of attending a private showing of the Hu Hotel Diner’s opening week menu and before the dinner I couldn’t resist taking advantage of the amazing photo op on the hotel’s roof top! In this post I will show case a snake skin print and jogger look that fits my motto of keeping a classy look while remaining completely comfortable! In this evenings look I wanted to go for effortless comfort while keeping my favorite classic style. I chose a loose snake skin print thin strapped cami. Since it is very flowy and I wanted to showcase the waistline, I decided to tuck it in. This look can be accomplished with matched style if you decide to untuck the top as well. Joggers are normally a term when speaking of athletic style but the comfort of a loose pair of joggers had my wheels turning. I decided to introduce a pair of poly blend joggers with satin lined pockets and ankles to my A|N Signature line to complete a simple classic look with almost any top. I love pairing these joggers with a cute cropped sweater as well for more of a day look. This look can be accomplished with flats or heels. I chose heels to take this evening wear to the next level. I decided that a pair of Jessica Simpson suede pumps would do the trick. I own a pair of black velvet slides that were in the running for a heel-less evening but ultimately Mrs. Simpson took home the gold. Accessories for this look really took the cake! I received so many compliments on my Wild Veld clutch and Rust and Revival Jewelry. A fun little fact, my Wild Veld Designs clutch is actually a pillow case! It’s totally true. This throw pillowcase has a zipper at the top and the thick fabric made it sturdy enough to fold in half and carry as a clutch! The same designer and founder for Wild Velt also brands Rust and revival, a line of leather and patina cuffs. I fell hard for this black leather with gold embossed accent. These Rust and Revival earrings also received top compliments. I have a hard time adding color into my fashion. 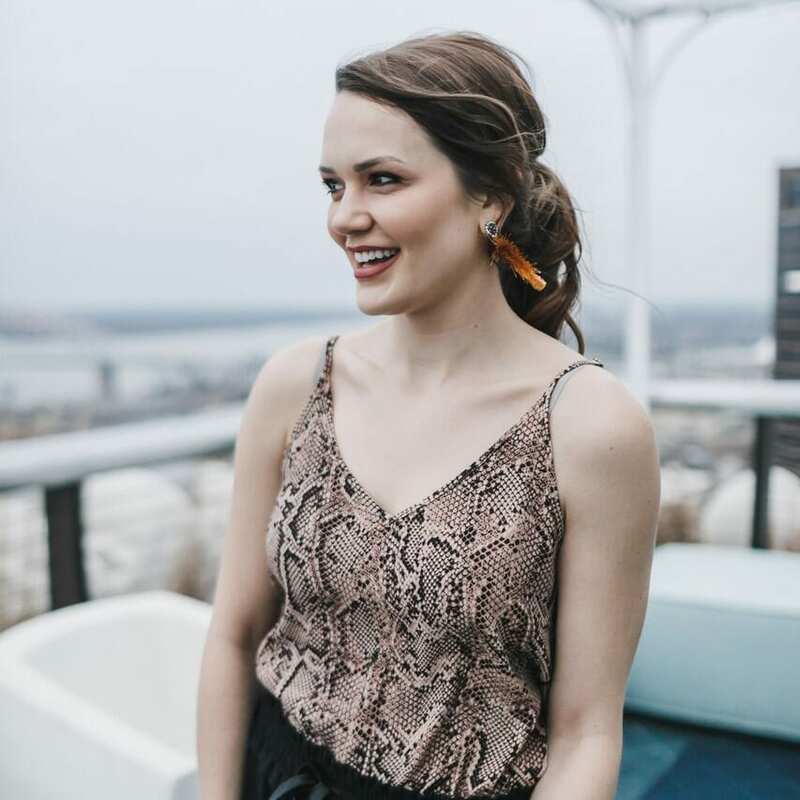 These Rust and Revival oval tassel mustard earrings really gave that pop that made this outfit! What is your go to cocktail look? How do you add comfort to fashion?